Fly540 has halted its Dar es Salaam route following reduced number of passengers. The carrier which has been experiencing several accidents has halted the route barely two years after launch. The firm has been losing grip over the last few years, following escalated number of accidents, with passengers vowing never to use it after escaping death by a whisker in most accidents which go unreported in the mainstream media. 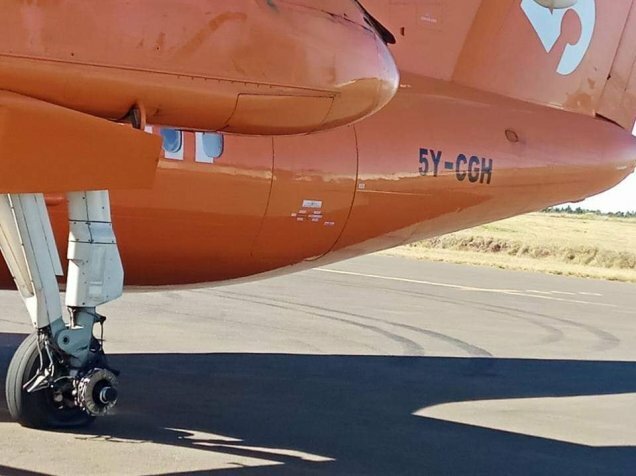 On December 29, 2018, close to 50 passengers on board a Fly540 plane escaped death by a whisker after one wheel of the plane they were boarding came off during touch down at Eldoret International Airport. The management admitted that they exited the route due to stiff competition. In a competitive business, customers would go for the best service, suggesting that Fly 540 service could have been one of the worst and riskiest. “When we re-introduced the Dar es Salam route, we did not get the right numbers to sustain our business on that route and that is why we suspended the flights last year,” said the firm’s corporate and industry affairs director Nixon Ooko as quoted by a local daily. The carrier had been operating three flights a week between Nairobi-Mombasa-Dar es Salaam, and was the only carrier in that route hence beating the logic of competition. This is the second time Fly 540 has pulled out of the route. In the first time, the company sought to partner with another airline to cover their poor service, but the prospective partner pulled out after realising the tinted image of Fly 540. It is suspected that Fly540 planes are operated by semi-trained pilots who can offer cheap services, hence risking the lives of passengers. In the Eldoret accident, an eyewitness says that the aircraft approached the runway in an awkward angle before smashing on to the runway before the wheel came off. The company has been facing a backlash from customers after being involved in several accidents unlike other flight companies. Last year, a FlySax plane (operated by Fly540) crashed at the Aberdare forest. Later reports emerged that the accident was caused by poor communication and professional negligence. It is reported that during the maintenance of the plane, Don Smith, the Fly540 CEO fired the engineers who were doing it and issued warning letters to others, hence distracting them from work. It is reported that the plane was not fully serviced. Last year also, the main wheel of a Fly540 plane CRJ100 got off while taxing at the jomo Kenyatta International Airport last year. In 2011, another Fly540 plane crash landed in a cassava plantation near Wilson Airport in what was reported to be a failed take off. It is reported that after this accident, journalists who arrived at the scene were paid not to paint the image of the company in a bad way. They were also ordered to leave the scene, hence little is known about the accident. In August 2008, a Fokker F27 freighter aircraft belonging to Fly540 crashed in Somalia’s Mogadishu killing the three crew members on board. This accident was kept out of the limelight , with money exchanging hands. Kahawa Tungu learns that some of the accidents are caused by human factors like fatigue and frustrations. Most of Fly540 employees report to work as early as 4am without proper transport arrangements and working hours. Sometimes shifts are extended by more than three hours for the fatigued workers, who may make errors during their line of duty. It is also true that some shifts end as late as 1am, and with lack of proper transport plans they opt to spend the rest of their nights at the place of work only to report next day extremely fatigued, unable to execute their duties properly. 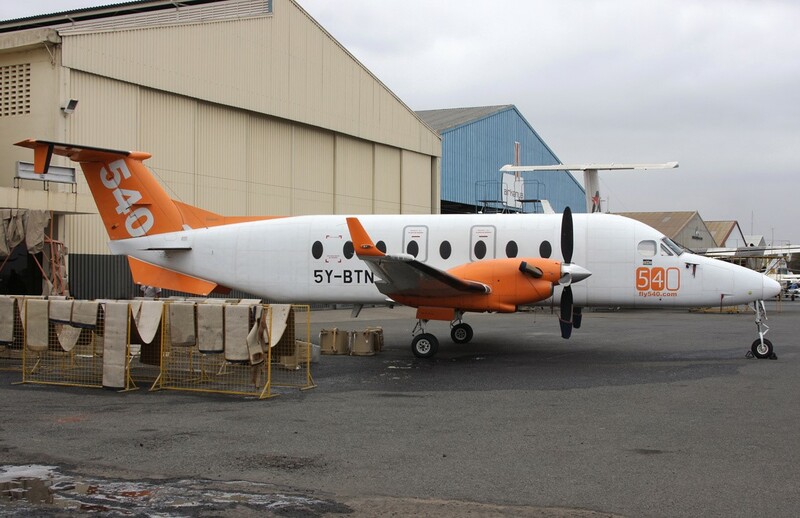 Kahawa Tungu also learns that the management of the Fly540 management has been compromising officers of the Kenya Civil Aviation Authority (KCAA) in a bid to remain operational despite flouting several rules.